It is true that most of the time, the best finds are the ones closest to you and the same applies to food. 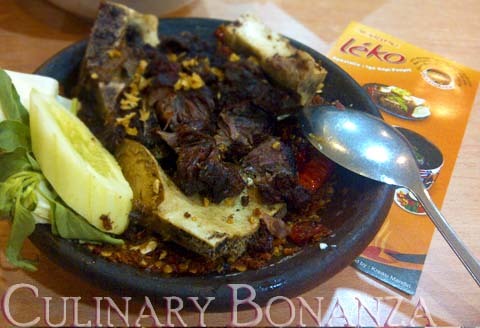 Warung Lèko is known for its Iga Sapi Penyet or squashed beef ribs. I'm not sure how or if the ribs were squashed at all, because the ribs didn't look mangled or smashed, as you can see in the photo. But, whatever! The ribs were too good, I regretted not coming here much sooner! In fact, it has always been here, just 5 minutes' walk away from my house and yet, it never occurred to me to ever stop by and enjoy the simplicity the dish served here. The next thing I knew, was finding myself seated on the second floor, in the non-smoking section, where there was only 1 group of diners besides us. The wait didn't last long as our food very soon arrived. My Super Pedas Iga Penyet (super spicy squashed beef ribs) was supposed to be super spicy, but it failed to stop me from eating (which is a bad indication about the chilli!). I remembered the very first time I came here a few years ago, when I only mustered the courage to order the mildest chilli level. Boy! did it make me visit the loo repeatedly after eating! Not to mention the pain of bloated stomach from guzzling lots of iced liquid to extinguish the fiery sensation on my tongue. 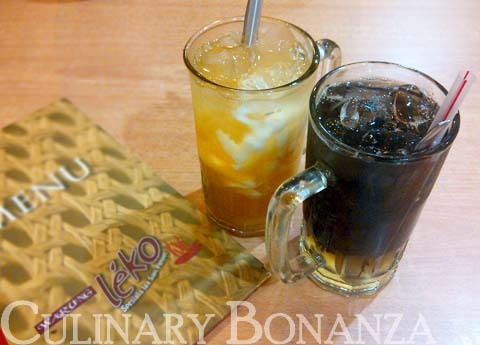 Back to the present, I like our side dish, the Tahu Pyur, a new addition to Lèko's menu. 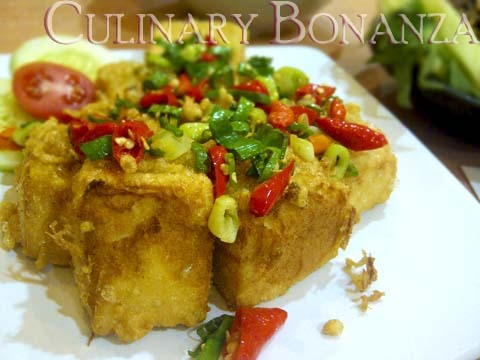 It was silken tofu fried in flour batter and garnished with chilli and spring onions and comes served with sambal. But the highlight of my meal was the iga penyet, of course! It was so tender, I could easily have peeled it off the ribs. If my memory do not fail me, the quantity of chilli for Sedang level a few years ago, seemed a lot more than today's Super Pedas level. No wonder I can survive the Super Pedas level today and cleaned the ribs without any difficulties. On the final note, the food here comes with very reasonable price tag, with the most expensive item being the Gurame Bakar Lèko (Lèko Grilled Fish), which cost only IDR 42,500. 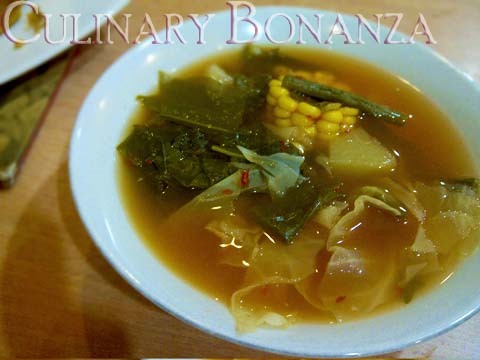 And the menu is considerably varied, you have fried rice, noodles, grilled fish, soups, stir-fried vegetables and many others. I appreciate your honest reviews on restaurants, some of them help me decide where to go on friday night with hubby. Personally, I don't adored Lekko, the meat was too dry for me. Btw, I'm adding you to my blog roll @ http:norecipejuststory.com.